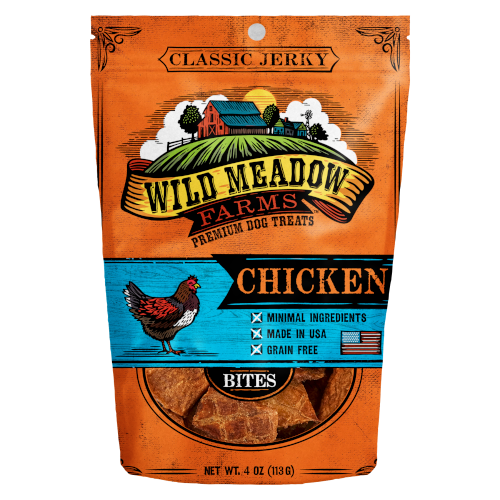 Our all-USA, Classic Jerky Chicken treats are made with high quality, minimal ingredients. 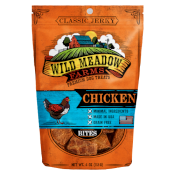 They are the perfect high value treat for your dog, if your dog gets excited at the prospect of a delicious meat snack. If so, our Classic Jerky Bites are the perfect treat.